AllSeated offers you the option to get creative with your table seating by providing you the tools needed to easily create your floorplan layouts. Using AllSeated’s tools, you can arrange your table seating and view in 3D to bring your floorplan to life! 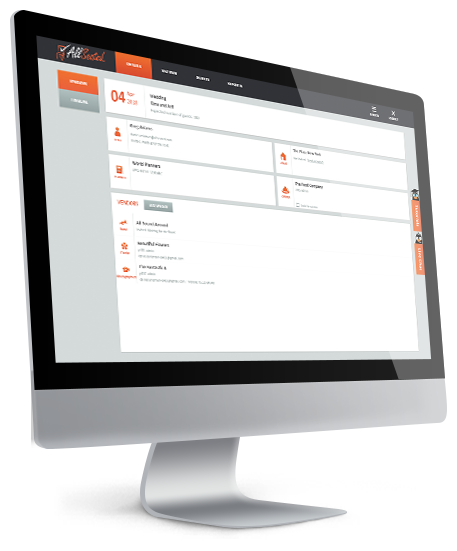 The Seating tab within your AllSeated account provides you the opportunity to get creative with your floorplan. The objects section offers a wide variety of tables and furniture items from the furniture library, allowing you to create your table seating. Select objects from various categories in order to locate the tables along with any other objects you wish to use to arrange your floorplan. Not sure exactly how you wish to arrange your floorplan? We put together these 3 table seating ideas to give you seating inspiration when creating your floorplan layout. The most common tables used at event venues today are typically round, rectangular or oval tables. These types of tables are the most traditional table seating. Based upon the layout of your venue, you can arrange the tables easily within your AllSeated floorplan. Vignette seating is a great seating style that gets you away from traditional arrangements. It also creates several intimate areas for your guests. Vignette seating includes the use of rectangular tables, square tables, or both to create a variety of unique “vignettes” (or scenes) in different parts of your reception. Replicate the vibe of a chic urban hotspot with lounge-style seating featuring couches and pods with coffee tables. Based upon the layout of your venue, choose from a wide variety of lounge seating to arrange within your floorplan layout. 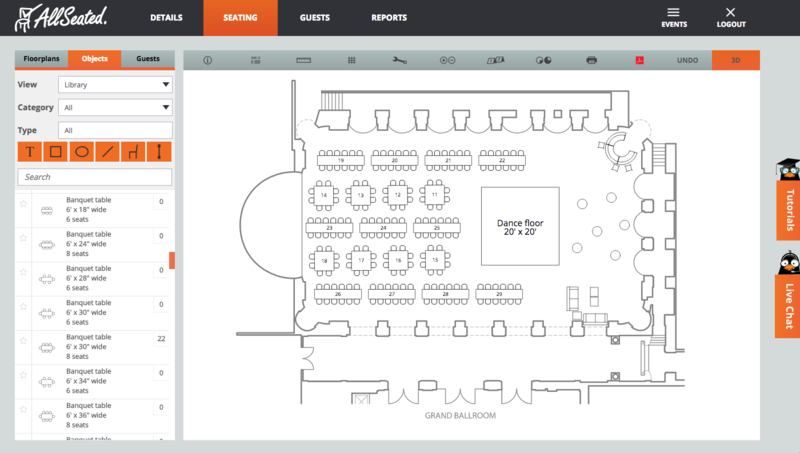 You can easily seat your guests directly from your guest list at the tables in the floorplan. You can even assign them directly to specific seats within your table seating if you desire! Aside from positioning your tables and furniture, you will also be able to make space for the dance floor, band, and other features in your layout such as placement of the bars, buffet tables, exits and extra entertainment. At any time during your table seating plan process, you can view your floorplan in 2D and then bring it to life in stunning 3D to create a virtual walk through of your wedding.